Attorney Jeremy Weinstock has joined Comitz Law and will specialize in all aspects of the firm’s civil and commercial litigation practice. A Northeast PA native and graduate of Dallas High School and Wilkes University, Attorney Weinstock received his law degree from Western Michigan University Thomas M. Cooley Law School in Ann Arbor, Michigan. He is admitted to practice before the Pennsylvania Supreme Court and all the courts of Pennsylvania, as well as the United States District Court for the Middle District of Pennsylvania. He is a member of the Pennsylvania Bar Association and the Wilkes-Barre Law and Library Association. Attorney Jeremy Weinstock is an associate at the Comitz Law Firm, specializing in all aspects of the firm’s civil and commercial litigation practice. Born and raised in Northeastern Pennsylvania, he graduated from Dallas High School and Wilkes University. He attended Western Michigan University Thomas M. Cooley Law School in Ann Arbor, Michigan, where he was a member of the Student Bar Association and the Delta Theta Phi Law Fraternity. 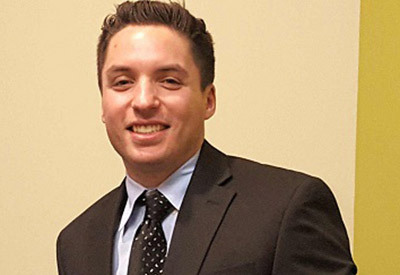 During law school, he served as a legal intern for the Washtenaw County Public Defender’s Office and Cooley’s Immigration Rights and Civil Advocacy Clinic. Attorney Weinstock is admitted to practice before the Pennsylvania Supreme Court and all courts of Pennsylvania, as well as the U.S. District Court for the Middle District of PA. He is a member of the Pennsylvania Bar Association and the Wilkes-Barre Law and Library Association. 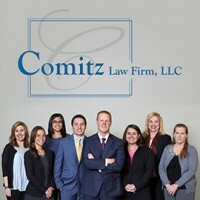 He can be reached at (570) 829-1111 or jweinstock@comitzlaw.com.